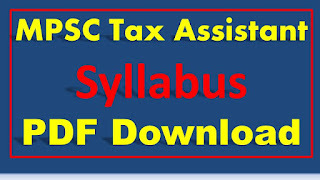 MPSC Tax Assistant Syllabus PDF Download: Hi Viewers are looking for the Maharashtra Public Service Commission Tax Assistant Syllabus. 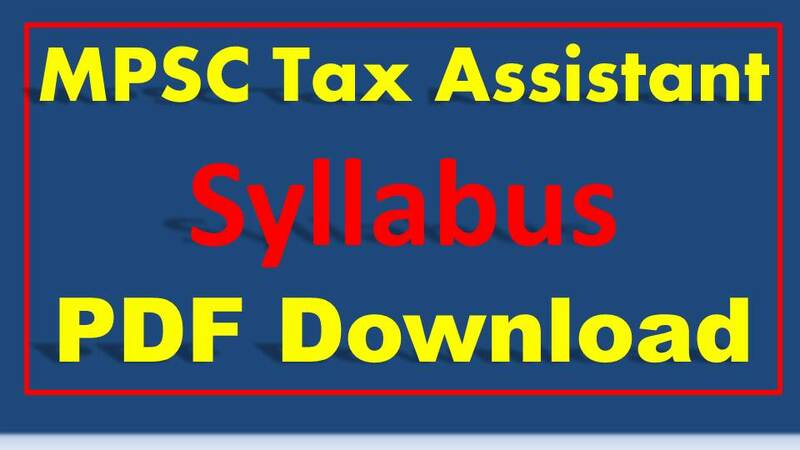 This is the right place to know the Full Detailed MPSC Assistant Tax Officer Syllabus. MPSC has released a notification for the recruitment of 296 Tax Assistants. All Interested and Eligible candidates may check the eligibility criteria and apply online from 24-10-2017 to 07-11-2017. Those Aspirants who are applied for this Tax Assistant Officer in Maharashtra those know the full syllabus for the Written Test 2017. Here we are enclosed the PDF Files Links for the MPSC Assistant Tax Job Download It free of Cost. Who are seriously preparing for the any state and central government jobs first of all known the complete syllabus of the preliminary or mains exams of the written test? Here our team provide the MPSC Tax Assistant Full Syllabus, Important Dates, Pay Scale, Total Number of Posts, Educational Qualification for the Tax Officers. Accounts of Not for profit concerns. Problem Solving of 12th Standard. Classification of center codes/roll numbers. Small & Capital Letters/ Number-coding, decoding & Classification.